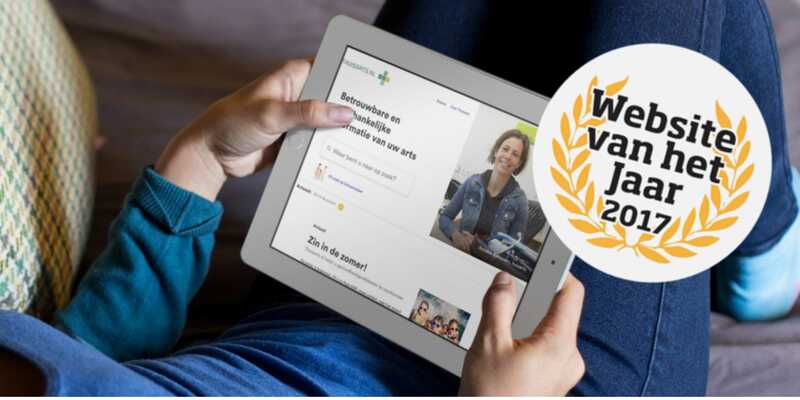 Vote for Thuisarts.nl as Website of the Year 2017! Thuisarts has been nominated for the third time for the Website of the Year Award! The Website of the Year award is the online annual election of the greatest websites out there. Thuisarts.nl was launched in March 2012 by the Dutch minister of health, welfare and sports. Since then, it is a publicly available non-commercial website, providing reliable medical information and advice. Thuisarts is designed and build by One Shoe on behalf of NHG, the Dutch College of General Practitioners. The Website of the Year award is the online people’s choice award for the best and most popular websites. The election is an international award and is organized in 7 different countries: France, Germany, India, Italy, the Netherlands, Spain and the United Kingdom. Nominated websites are judged on content, navigation, design and recommendation intention. In each category there are two prizes to be won: the Best and the Most Popular Website of the Year. --> PLACE YOUR VOTE NOW!